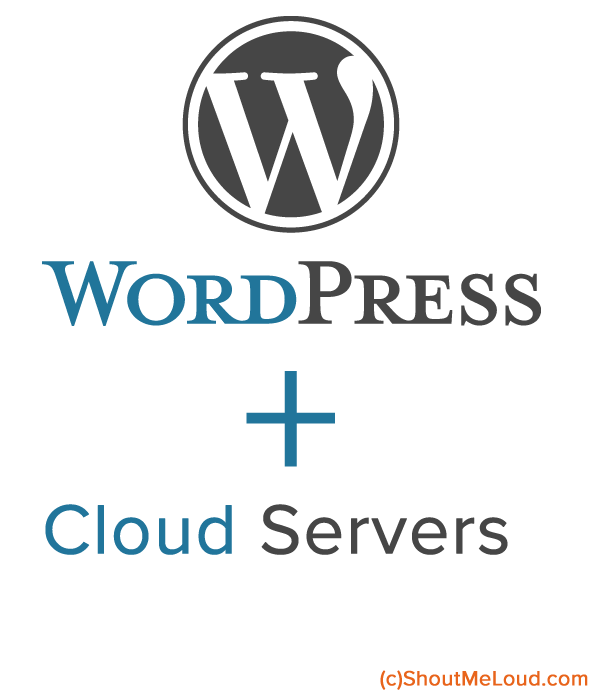 Cloud Server Hosting is gain popularity because of its reliability, performance and price. If properly configured the cloud servers are very secure and have high performance/price ratio. These days you can get a good cloud hosting in about $5/month. Along with the storage space, you get a dedicated I.P address and full root access. It means you can customize your server like you want. Another great advantage of using a cloud hosting is you are billed for the resources you use. You can easily scale your server according to your need. While shared hosting cost more than $10/month, you can deploy a cloud server in less than $5/month which is way more powerful than any shared hosting. The problem people face during deploying a server is to set up the server correctly for their use. 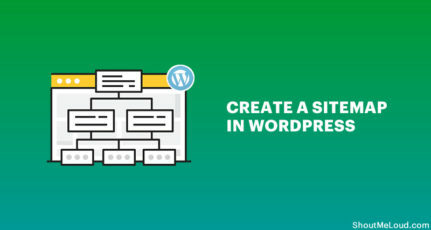 So in this guide we will setup a cloud server to host multiple WordPress (or other) sites. So the first step is initial server setup. For that you need to log in to your server using SSH. Type “yes” when the prompt asks if you want to connect to the host. When prompted, type in the root password that was emailed to you and press enter. Although the password is entered when you type, it does not show up on the screen for security reasons. You will then be connected to your Server. To log into your server on windows, you will need to have PuTTY, an SSH client, installed on your computer. You can download the program here. Choose the windows installer. Once PuTTY is downloaded and installed, starting the program will take you to the configuration screen. 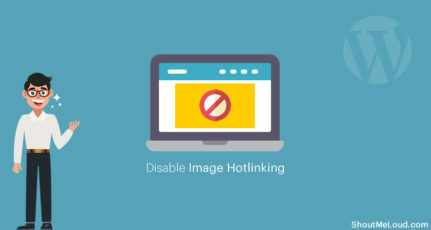 Fill in the “Host Name (or IP address)” field with the IP address of your server, make sure the port number is 22, and the connection type is SSH. Additionally, click on the sidebar entry, SSH, and select “2 only” as the preferred SSH protocol version. Once everything is configured, you can name and save these preferences for the future by clicking on Session in the side bar and typing a title into the Saved Sessions field. Then click save. Double click on the session name to connect, and accept the subsequent pop up that asks if you want to connect to the host. After PuTTY starts up, type in the root password that was emailed to you. Now if you have logged in successfully then go ahead and follow the next step. After you change the password you need to log in again with the new password. The advantage of creating a new user is it prevent the user from destroying the system. Where “demo” is the name of the new user. You can use your name in place of demo. Now you have successfully created a new user. Please note that you need to use the phase ‘sudo’ before any command. Under that add this line, to grant root privilege to the new user. Replace ‘demo’ with the username you created earlier. Type ‘Ctrl+x’ and press Y and then press ENTER to save the file. To make the changes take effect, type this command. Use the new user to do any task with ssh as it will prevent your server from destroying-mistakes. You have now completed the initial server setup. LAMP stack is a group of software that are required for web server to run applications which uses PHP and MySQL. Now you have successfully installed the apache web server software. The next is to install mysql server, to do this type the following command. Now the prompt will ask you for the current root password. Type it and press ENTER. Now you have installed apache and mysql software on you server. Lets move on and install php on the server. Congratulations you have installed LAMP stack on your server. Now its come to the easiest part of this tutorial i.e. Installing WordPress on your server. 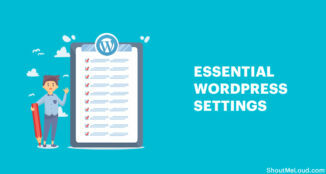 To install WordPress on the server you will need to download it on the server. To do this type this command. Basically what is exactly does it when you type cd and press Enter button it changes you current directory to the users /home directory. And wget command download the latest version of WordPress on your server. Now lets move to the next thing i.e. Unzip the WordPress installer. To do this type this command. 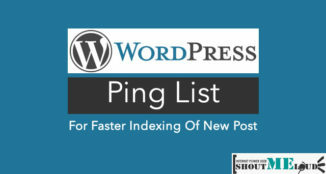 Every WordPress site need a database to store posts, comments and settings. So in this step we will create a MySQL database for our WordPress site. To do MySQL related stuff first we need to log in into the mysql administrator account. To do this type. You will be prompted to enter the MySQL root password. Type the password and press enter. Now if you have entered the correct password you will be dropped in to MySQL prompt. To create a new database type the following command. Change the “FirstDatabase” with the database name you want to use. Now the database is created. Now we will add a new user to this database. To do this type. Replace the “FirstUser” with the user name you want and press enter. It is very important to protect the new user account with a password. To do this type. Be sure to replace the “FirstUser” with your user name you created in the above step and “FirstPassword” with a strong password. And press enter. Refresh the MySQL privilege information by this command. We will need to create separate directories for different sites, so that we can host multiple sites on one server. In this step we will create a directory for the site in the “/var/www”. Make sure to replace the text in red with your respective directory name. Giving ownership of the “/var/www” directory to the user. Replace the “linux_username” with the username you created in first step ( 1.3) . As we have installed WordPress in “/var/www/siteName” directory, we will need to set up the virtual host file. So when the visitors type the site URLs they directed to the right directory. To create a virtual host file in Apache, first we need to go to the “/etc/apache2/sites-available” directory. Now create new virtual host file for you site located in “/var/www/siteName”. After new virtual host file is created. We need to add the information into it. Now substitute the information in the virtual host configuration file which a marked in red with you site information. Add the two-line ServerName and ServerAlias below the ServerAdmin line. If you have www in the default URL then add www in the ServerName and remove www from ServerAlias , So that the first 4 lines look like this. Also make sure you have changed the “AllowOverride None” in the “” block to “AllowOverride All”. This will enable pretty permalinks. Save the file by pressing ctrl+x then type Y and hit enter. Now restart the Apache to make the changes take effect. 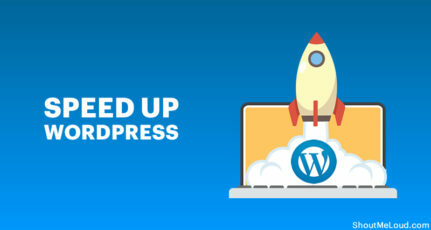 Now visit your site and finish the installation with WordPress 5 minutes install wizard. If you have not made changes to your domain nameservers then visit the IP address of the server on which you have installed WordPress. Congratulations, Now you have successfully installed WordPress on your server. 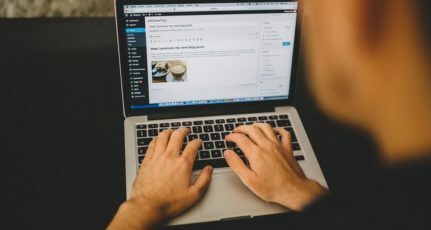 Are you planning to move your WordPress blog to cloud server? 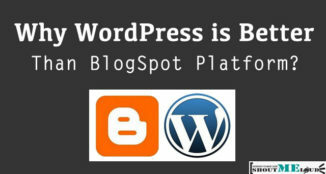 Do let me know if you have any questions or issues while installing WordPress on your cloud server. Don’t forget to share this tutorial with your geek friends on Facebook and Google plus. This is a guest post by Rajiv from RealGeekTips. If you would like to write for ShoutMeLoud, check our guest submission guidelines. A long but a very useful article’s for shoutmeloud reader. Thanks a lot for sharing this important informations with [email protected] I have tried this and after few mistakes, finally i have done it successfully. How Ubuntu differ from CentOS. I mean major advantages and disadvantages of using CentOs over Ubuntu. CentOS is lighter than Ubuntu and requires less memory. On the other side Ubuntu have more security and pre-installed useful application like ‘nano’ . Ubuntu and Debian have more tutorials on internet as compared to CentOS. I hope this will help you to select a better server OS. Can I have a tutorial on how to access phpMyAdmin on Ubuntu like IP/myphpadmin as like in CentOS? Both ubuntu and centos are Unix based operating systems. They both nearly have same perfomance . Only the installation packages differ (eg .deb and .rpm extensions). Actually Centos is a derivative of Enterprise linux solution RHEL. You can have wordpress sites in both Ubuntu as well as Centos server. Its of personal interest. Since am working in an organization, i can tell you that, for production environments most of the organizations will go for CentOS (for security concerns) . I like Ubuntu though, than CentOS. Ubuntu is very user friendly and configurations are less complex than Centos. If you have ever worked on fedora or redhat then you would get this is much more easy and useful. All the instructions given here in this tutorial is basic command of linux. the only changes you need is how rpm. centos system use /rpm based software most of the time. though you can also install software from tar files. Thus it is your personal preference which flavor of linux do you prefer or comfortable. How do you do this for a LEMP stack? My desktop is based on Ubuntu 12, though I personally prefer CentOS, RedHat or Cloud Linux for web server management and testing. The tutorial is good, but I think it is a bit incomeplete. Managing database without phpMyAdmin can be a nightmare. Thank you for the beautifully clear instructions! However they are a bit out-dated now: the default virtual host file name was changed in later versions of apache 2, on ubuntu, to 000-default.conf (NB the .conf suffix is mandatory).